The past 13 years of Borussia Dortmund pretty much work like a mirror of what life is all about: ups and downs that one has to master no matter how difficult it may appear in certain moments. Ups that us fans got to experience through great and unbelievable championships, cups and finals and downs that nearly cost us our club in the middle of the ‘tens’ ten years ago. Through the better and the worse, us fans stuck together with and for our team and club and all there was- which is not really surprising. It is what fans do. We stay. For players, however, it is not the most self-evident thing going through the bad times and actually stay. For Sebastian Kehl- it was. Some jokesters would say that it was easy for Kehl to stay, since he was injured very often- and who would have bought an injured player? To those people I can only say: it is not difficult to stay when you are injured, but it is difficult to make the club wanting you to stay. Which is exactly what happened in Dortmund. Times may have been difficult for Kehl, but his role for the club and the team was never doubted. He was needed, he was a role model, he motivated the others and kept pushing himself. And after 13 years for our Ballspielverein, the moment has come to say goodbye to not only one of the greatest- if not the greatest- coach our club has ever had and one of the greatest players that have worn our jersey. 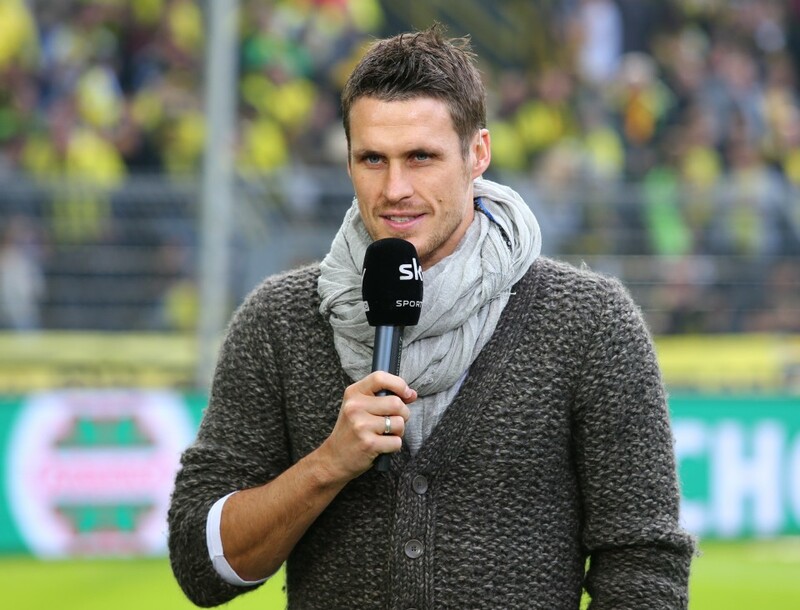 Along with Jürgen Klopp, who will leave after having coached our team for the past seven years and achieving more than anyone would have believed in their wildest dreams, Sebastian Kehl will end his career at the age 35 with three championships and hopefully two cups in the bag. After starting his career in Hannover and moving on to Freiburg, it was an edgy start in Dortmund for Sebastian Kehl. Having agreed with Bayern Munich beforehand while still playing for Freiburg, his move to Dortmund did not bring him too many friends down South. In Dortmund, however, luck was on his side straight away. Dortmund won the championship in 2002 and Kehl could celebrate the first title of his career with his new team. Choosing Dortmund over Bayern did not appear to be the worst decision after all. 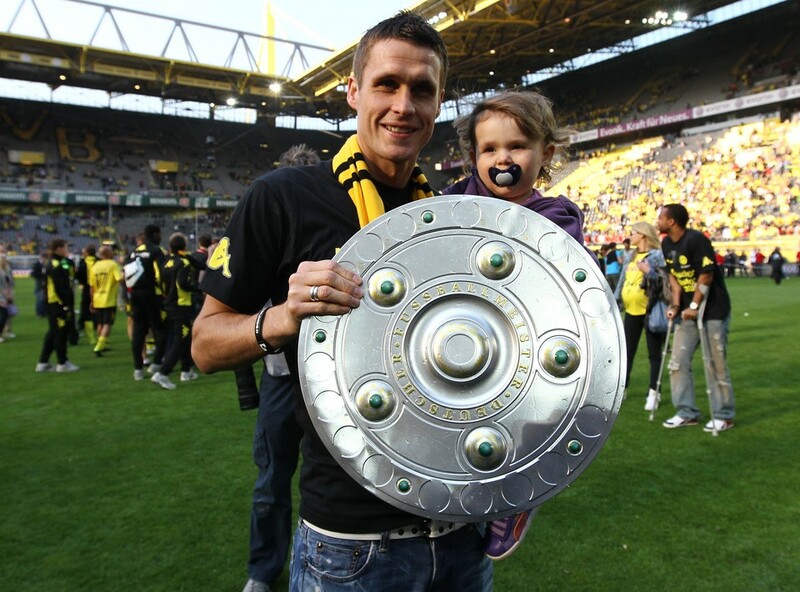 My favorite memory of Sebastian Kehl of that season? We had just lost to Stuttgart by 3:2 and Kehl gave an interview after the game. The reporter’s comment that he was in quite an alright mood for having just lost against Stuttgart was answered by a vigorous Kehl “what do you want me to do? Smash the camera?” He was not too happy about the defeat after all. It was exactly this what distinguished Kehl from others: his honesty. He could be feisty and often said exactly what he thought, sometimes even in a too emotional way, but usually simply like someone who has adapted the Ruhrpott-style fully. Here you say what lies on the tip of your tongue. And that is alright. In the middle of the new decade trouble came for Dortmund and trouble came for national player Kehl. 2005 was the beginning of a difficult time for the player that Jürgen Klopp decided to make his captain. In the opening match against Bayern Munich Salihamidzic seemed to have forgotten that football was not about ruining other peoples’ career and Kehl had to face the most difficult time of his career: an injury that appeared to be endless. It was a joke that Salihamidzic did not even face a yellow card after completely scratching Kehl’s knee open. For a long time it even seemed questionable whether Kehl would be back for good at all. Two years of ups and downs for Kehl followed before being able to play again in 2007. Only one year later Sebastian Kehl was named captain by Jürgen Klopp. It was this period that marked the most successful time in the history of Borussia Dortmund and Sebastian Kehl crowned it with a remarkable goal against Hoffenheim in the Cup quarter-final securing us our ticket to the semi-final- and we all know how that went. The good-bye on Saturday will be an emotional one. We will see two people leave that gave their all for our club and leave two big foot prints. We have said good-bye to other great people in the past decade: Jürgen Kohler, Dede….and there will be more to come, but for now, my gratefulness for having been able to experience the past years with our Ballspielverein also leads back to Sebastian Kehl and Jürgen Klopp. Sebastian Kehl’s career in the national team never really blossomed- and even though he had to miss out many games during his career for Borussia Dortmund, I will never forget the moment in 2012 when he raised the Cup in Berlin, concluding one of the most successful seasons of Borussia Dortmund’s history. I hope there will be another moment like this in two weeks. On the pitch Sebastian Kehl never stopped working and fighting- the same can be said for his work offside the pitch. Together with his team companion Roman Weidenfeller Sebastian Kehl fights against the prostitution of children which cannot be emphasized often enough. On the pitch a fighter- always keeping in mind that there are people less privileged who suffer from injustice and pain. At the “Aktuelles Sportstudio”, last week, Jürgen Klopp said: “Sebastian Kehl was my captain.” You are wrong Jürgen Klopp: He was our captain! Thank you!